Do you love games like Mafia or Werewolf? Do you hate your friends? Do you like accusing everyone of being a spy? Are you constantly paranoid of those around you? Or is an ability to conceal a hidden identity more your style? 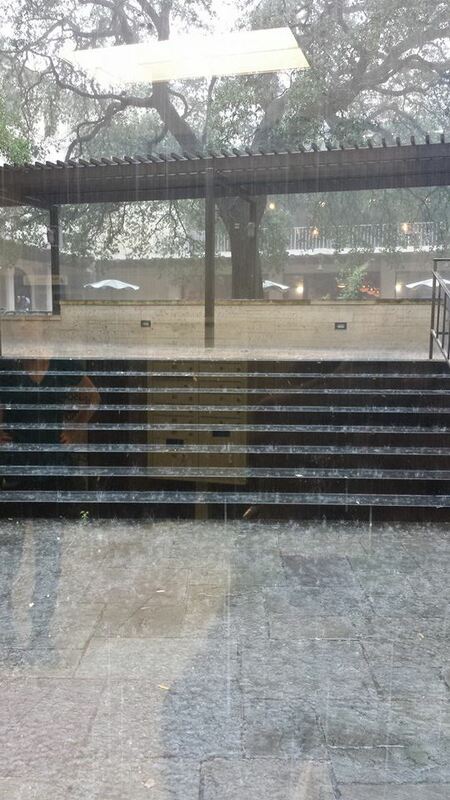 Does the Texas rain have you trapped inside this week? Then The Resistance is just the game for you! 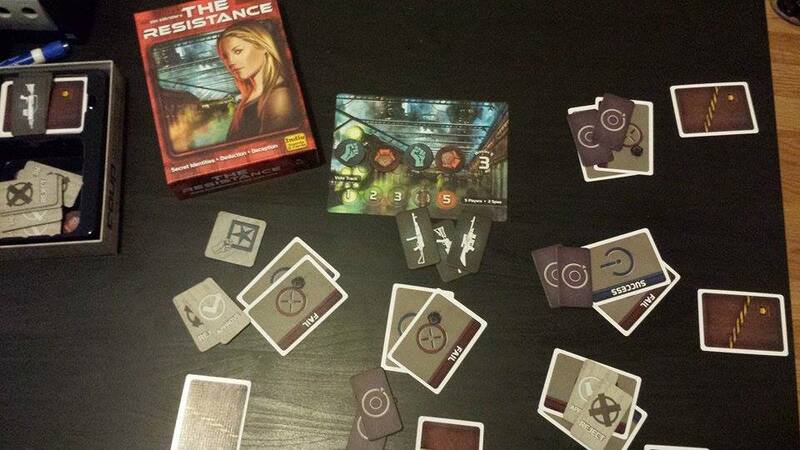 This game, by Indie Boards and Cards has player spending rounds trying to discover who among them are true Resistance members, dedicated to the cause of their rebellion, or Spies, those loyal to the government, trying to fail missions in this dystopian society, shared in another related game, Coup. 1) Try to get missions to not go through – each player votes on each mission to see if it goes through or not. If the players don’t go through on enough missions the Spies win. 2) Fail the missions that do go through – each Resistance member can only pass missions. The Spies get the option to pass or fail each mission, to help their plans, or conceal their identity. If more missions fail than pass, then the Spies win. These are different than the other deductive logic party games, players don’t get eliminated, which leads to longer games, and a bit more complexity. It also helps build tension, where picking one more player onto a mission wins or loses the game! Another key difference is the lack of narrative. Nothing major is lost in my opinion, but then again, my playgroup tries to semi-regularly get together for RPG nights, where our games are quite narrative/story driven. Expansion Universe is not Canon! One thing I love about this game is its simplicity, and its ability to add a bit of spice if you’re feeling like adding a bit of difference to the usual games! Plot cards and expansions definitely add an extra layer of fun! My favorite expansion additions so far are the use of Merlin and the Assassin, where Merlin is a Resistance member knows who the Spies identities, and where the Assassin has one last shot at the end of the game to win if they can properly guess who Merlin is. I like the extra roles, and the extra bluffing! But wait, I thought you said I’d hate my friends after this. This sounds awesome! Yeah, it seems like loads of fun, but I guarantee, your friends and family will be remembering old plays whenever you pick up the game again. Part of my playgroup definitely recounts old amazing bluffs, and game winning lies to help with their case on who to pick during games! You can taste the salt. I love this game. It’s all kinds of fun and wonderful. I’d definitely recommend this one for any group of friends, families, whoever. Just make sure no one really holds grudges! This game has a permanent spot on my game shelf…well the spot under my game table…so grab a copy, and some friends and start accusing them all of being spies! Rainy days means you get to play games!